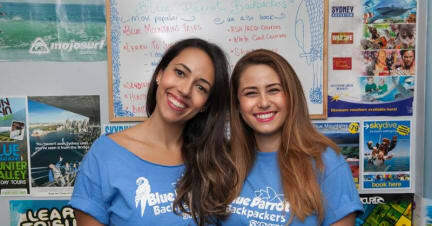 Blue Parrot Backpackers i Sydney, Australien: Reservér nu! Blue Parrot is one of Sydney’s most social hostels, popular with solo travellers due to its relaxed homely atmosphere and its ideal smaller size (50 guests) make it impossible not to meet people here! Located in Sydney’s cosmopolitan neighbourhood of Potts Point, Blue Parrot is a 7 minutes walk from Kings Cross train station and a 15-20 minute walk from the heart of the City Centre, Royal Botanic Gardens, the Opera House and Sydney Harbour Bridge. 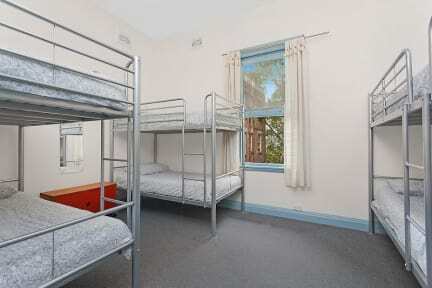 Close to vibrant nightlife, clubbing, trendy cafes, bars, restaurants and many of popular tourist attractions. Guests can relax in the large outdoor courtyard or the indoor lounge area, the perfect places to socialise, offering Free Wi-Fi, TV with Netflix . Also close to the most convenient train line connecting you from Bondi all the way to the Blue Mountains. The on-site tour desk can arrange exciting day trips to the Blue Mountains, Surfing lessons, Skydiving, Whale watching, Wine tasting and more. Age Restriction: Adults only 18-35 years old in dormitory/shared rooms.